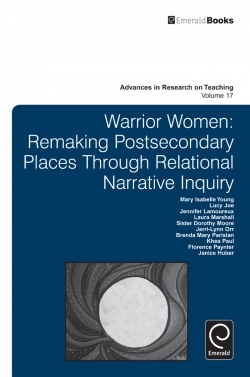 "Warrior Women" makes visible the ongoing intergenerational narrative reverberations (Young, 2003; 2005) shaped through Canada's residential school era which denied the communal and cultural, economic, educational, human, familial, linguistic, and spiritual rights of Aboriginal people. 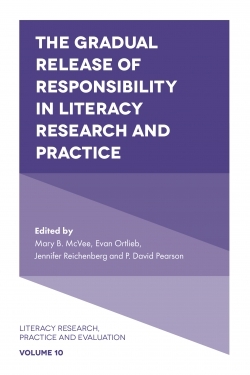 Attending to these narrative reverberations foregrounded the continuing colonial barriers faced by six Aboriginal post secondary students as they composed their lives in a current era of increasing standardization in Canadian universities and schools. 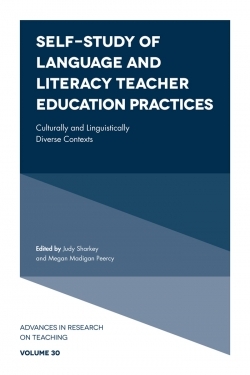 Yet, what also became visible were ways in which the Aboriginal teachers increasingly reclaimed or drew upon their ancestral ways of knowing and being. Testimonials. Acknowledgements. Dedication. Foreword to Warrior Women. Not Tomorrow … Today. 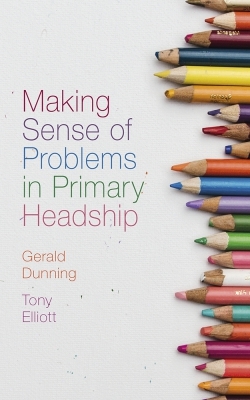 Introducing Ourselves: Storied Experiences Shaping the Stories We Live By. Co-Composing Relational Narrative Inquiry. Reclaiming and Maintaining Our Aboriginal Ancestry. Reclaiming Our Ancestral Knowledge and Ways: Aboriginal Teachers Honouring Children, Youth, Families, Elders, and Communities as Relational Decision Makers. 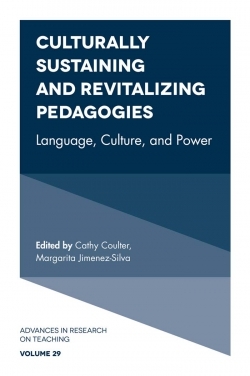 Becoming “Real” Aboriginal Teachers: Counterstories as Shaping New Curriculum Making Possibilities. 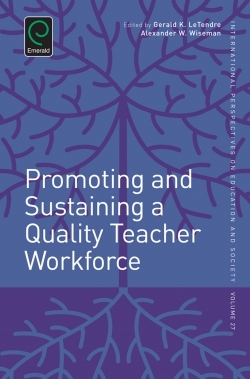 Being Included in and Balancing the Complexities of Becoming an Aboriginal Teacher. Sharing Our Forward Looking Stories. Learning to See the Little Girl in the Moon: An Afterword to Warrior Women. About the contributors. 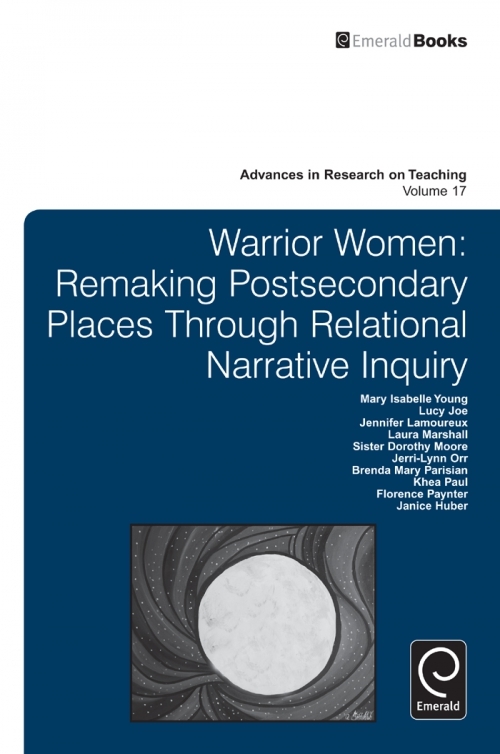 Warrior Women: Remaking Postsecondary Places through Relational Narrative Inquiry. 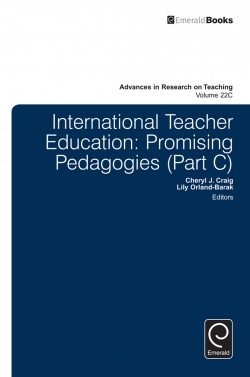 Advances in Research on Teaching. 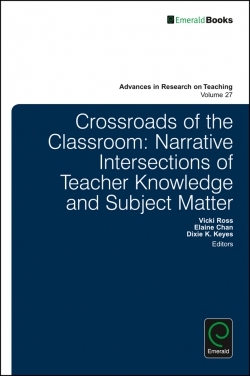 Advances in Research on Teaching. Copyright page. Group Photo from Winnipeg Fall 2008. References.